Register on the Lactaid.com site to print a coupon for a free container of Lactaid half & half (value up to $2.99). Click here. Click here to print your coupon for $5 off a $25 purchase at Family Dollar (expires 7/6/11, limit one coupon per customer per visit). The $25 purchase requirement is net, after other coupons and discounts have been applied. 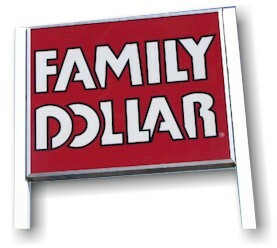 Family Dollar is one of the dollar store chains that has their own store coupons. Family Dollar stores will accept manufacturer's coupons and allow stacking with their store coupons. Here is their coupon policy. And here are some more tips about shopping in dollar stores. Don't forget that this weekend, P&G will have their own coupon circular, P&G Brandsaver, in the Sunday paper, featuring $83 worth of savings. These coupons are great for use in Family Dollar stores, as they carry a ton of P&G cleansers and detergents, and stacked with the $5-off-$25 coupon, you can snag some great bargains. I know, I know, I just ranted about how I don't like posting "cattle-call" coupons, but this one seems like a good example of a large giveaway that is actually being done right. It is two hours into the promotion and the giveaway is still available, the pages are loading just fine, and I've had no problem submitting my information at all, so kudos to Downy and click over here to get your free sample of Downy Unstoppables. 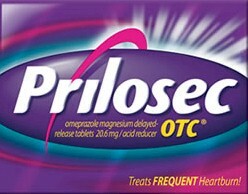 Costco members (must have membership card number) can get a free sample of Prilosec OTC. Click here to get started. 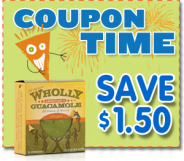 The end of the month is nigh upon us; today is June 30th, which means we can look forward to some new coupons popping up in the changing of the (coupon) guard. 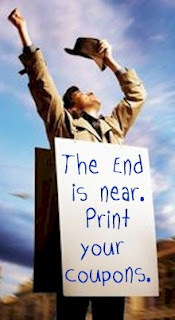 It also means that many of your favorite coupons, you know, the ones you've been meaning to print but haven't gotten round to, are going bye-bye. If you've got any coupons on Coupons.com, SmartSource, Red Plum, Whole Foods, Target, Kellogg's, Betty Crocker, or Cellfire that you've been eyeing, now is a good time to put paper in the printer. I got my third email from a reader today that asked why I tend not to post "Go there NOW!" Facebook giveaways, or, as I call them, "cattle-call" coupons. TLC's show, Extreme Couponing, did a lot of damage to the frugal community this year. The show portrays couponers as, well, frankly, freaks. And we're not. We're smart, busy people who just want to save a significant portion of our shopping budget by using coupons and offers from stores and manufacturers who want our business. Times are tough, the economy is still awful, and savings matter. But couponers also have lives. We have jobs, families, and interests that take up 98% of our time. 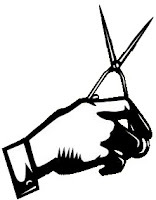 Normal couponers do not spend 14 hours a day clipping coupons and thinking about couponing strategies. We don't dumpster-dive for coupons (and if you ever find yourself doing this, please see a mental-health specialist). We don't aim to get 75 boxes of Hamburger Helper, 42 boxes of Cheerios and 375 tubes of Crest for $2.76. We simply want to spend two or three hours a week figuring out how to save 20-30% on our healthy, normal balanced grocery budget. But couponers have gotten a bad rep lately. 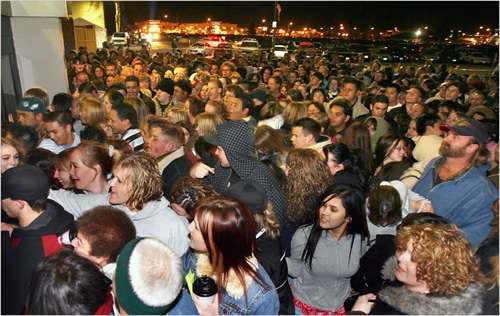 I see it when I get dirty looks from other shoppers in stores, and when cashiers adopt a defensive, belligerent attitude. I feel it when vendors tighten down their coupon policies. I realize that some of this attitude comes from a misunderstanding of what couponing and frugality is all about. But I'm not ashamed of my frugal methods of saving money; on the contrary, I'm proud of them. And I try as best as I can to maintain my dignity in what I do. So when a national manufacturer announces that they will be giving away 20,000 coupons for a free product on Facebook now, and then I click on the link and I can't even load the page because the manufacturer is completely unprepared for the onslaught of couponers visiting the site and the servers have crashed, I feel sad again for the well-meaning members of the couponing community. These "cattle-call" coupons are a little, well, demeaning. I'm not saying that manufacturers owe it to us to have an unlimited supply of free products. They certainly don't. But if they can afford to give away tens of thousands of free products, they can afford to bulk up on their technical backend, so that the couponers who respond to their offer aren't sitting there for an hour reloading their page trying to get to the offer, only to discover that they've missed out on the coupon. It's a little debasing. Again, we've got busy lives. I don't need to spend that kind of time and effort for a $1.98 bottle of skin lotion. Server-diving is just a few virtual hairbreadths away from dumpster-diving. So, from time to time, I will post these "cattle-call" offers, when I give in to my weakness for a free product, and I want to share the information with you. But it's your choice on whether you want to expend the effort to get these coupons. Most of the time, I will try just once, and if the page hangs (or worse, crashes my browser), I'll abandon ship. Bottom line: I value my time and self-respect more than I value a good deal. Please hop on over to my friend, Mara Strom's superblog, Kosher on a Budget. I've got a guest post up there on Discounts for Teachers and Educators. It's a round-up of 20 retail discounts for educators, teachers, professors, and home-schoolers. Teachers are special and deserve a frugal break. Enjoy! Click here on the Target coupon site, (and then click on the "Toys" section) to print coupon for $1 off any Hot Wheels item. Please note that even though this coupon is coming off the Target site, it is a manufacturer's coupon and can be used anywhere. 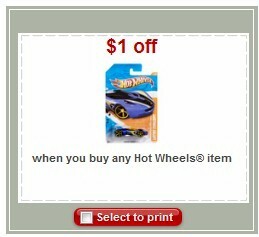 Since most single Hot Wheels cars run about $1 or so, this item will essentially be free. Vroom! UPDATE: Free milk coupon is now gone. However, you can click here and get a coupon for $1 off of any size Farmland Dairies skim milk, fat-free, or half and half (expires 10/31/11). Click here and fill out the form to request a coupon for a free half-gallon of Farmland Dairies milk. You have a choice between Skim Plus Fiber and Skim Plus Omega 3. Your coupon should arrive via email. World Kitchen is having a great Independence Day sale and is putting all of these items on sale for only $17.76! Shipping starts at $6.50 for the first item (and is discounted as you buy more items). Use promo code Z03503 to get 20% off each item, which brings the item cost down to $14.21 and drops the shipping on the first item to $4.95. So with the promo code, your grand total on a one item purchase is $19.16, shipped. I got both this Ekco salad spinner and this Corningware 10-pc. 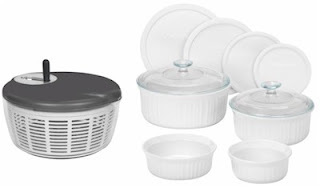 white baking set for a grand total of $36.12, shipped (excluding tax). The salad spinner is $24.99 + 9.50 s&h on Amazon and the baking set is $48.99 on Amazon. I might pick up some extra Corningware baking sets for bridal shower gifts (no one needs to know how much they cost, right?). Click through the Shop at Home link to Kmart to make sure you get your 3% cash back. You must be a member of Shop at Home and signed into your account to get your cash back. Not a member of Shop at Home yet? It's free. Click here to join and get $5 cash just for signing up and using their site for a purchase within 30 days of joining! 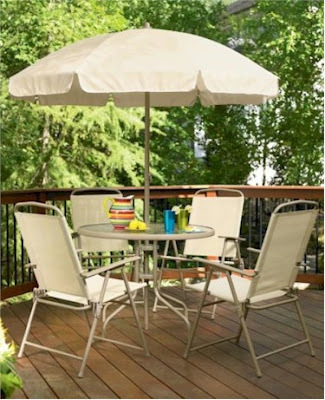 Once you're on the Kmart website, add this six-piece folding patio set to your shopping cart. It's currently on sale for $77.99, reduced from $129.99. At checkout, use promo code KMFUN, and watch the price drop by $5 to $72.99. Make sure you choose store pickup to avoid the exorbitant $90 shipping fee. There are Kmarts everywhere. Make sure you enter your Shop Your Way Rewards number to get back 1% of your purchase price for use on a future purchase at any Sears, Great Indoors or Kmart store. Exclusive of taxes, with your sale price, promo code, cash back and no shipping charge, your final price on this patio set is $70.80. Beat that. Great for smaller patios, this Essential Garden 6 pc. Folding Patio Set is the perfect addition if you have limited space. This patio set conveniently folds out of the way so you can have the necessary room to entertain. Table dimensions: 27-1/2 in. x 36 in. Sparkle Shark has got a great deal on a Coach pocketbook today. Yes, a genuine Coach pocketbook. I'm somewhat of a pocketbook/purse junkie (new pocketbooks never make you look fat) and I've been a Coach devotee since I received my very first Coach portfolio as a college graduation present (and years later, I still use it, and it still looks gorgeous). I now own five Coach pocketbooks. Coach bags are beautiful, extremely well-made, and come in both classic and trendy styles. They are also pricey. Very pricey. I bought two, one to gift to a very good friend. 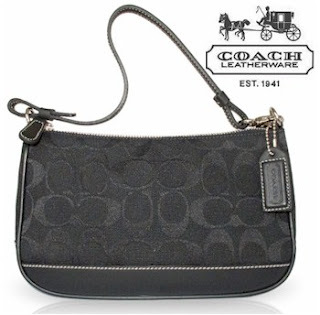 Click here for this fabulous bargain on a classic and classy Coach purse. You may recall back here, where I talked about My Coke Rewards, one of my favorite free rewards programs. If you haven't joined yet, now might be a good time, since most people drink a lot of cold soda in the summertime, and the MCR points accumulate very quickly. My husband and I have cashed in close to 200 free-Coke certificates from this program over the last three years. Now, MCR members can get 60 My Coke Rewards points and 250 Southwest points when they join Southwest Airlines Rapid Rewards program through this link. You can redeem those sixty MCR points right away for two free 20 oz. Coke certificates. You will receive an email within three to five business days of signing up that will have your My Coke Rewards 60 points code. This offer is good through 7/31/11. Click here to sign up for Southwest Rapid Rewards and snag your 60 free MCR points. 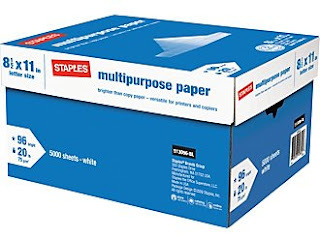 When you head on over to Staples to get your $24 case of multipurpose paper, make sure you snag these deals as well. I received a couple of great emails tonight with these printable Staples coupons. 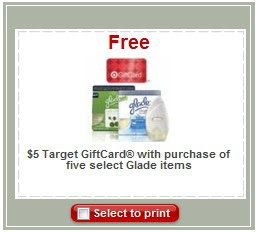 Each of these coupons are in-store only, expire on 7/2/11 and there is a limit of one coupon per customer. When you're at Staples using these coupons, use the 15% off one last, because it messes up the other coupons. 15% off one item. Expires 7/2/11. Excludes: desktop or laptop computers, tablets, netbooks, Beats Audio™, Amazon Kindle®, NOOK by Barnes & Noble™, custom printing orders placed online, gift cards, cell phones and cell phone services, Staples® EasyTech(sm) professional-grade and on-site services, depot repair and parts, phone cards or postage stamps. Each item purchased can only be discounted by one coupon, applied by cashier in the order received and prior to tax. If you use all of the coupons below, you will basically be snagging $81 worth of stuff for $17. About an 80% discount. Kuhrazy. Sharpie Permanent Markers, assorted colors, 24/Pack, normally $18.99, $5 with this coupon. 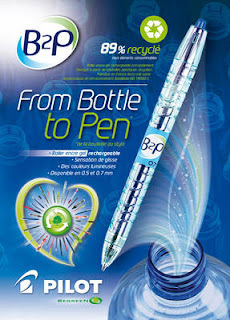 BIC Round Stic Ballpoint Pens, Black or Blue, 60/Box, normally $4.79, $2 with this coupon. Staples Copy Select Paper Ream, normally $5.99, $2 with this coupon. Staples Stickies 3" x 3" Recycled Yellow Notes, 12pk, normally $15.99, $1 with this coupon. Staples Small Metal Binder Clips 40pk, normally $5.29, $1 with this coupon. HP Everyday Photo Paper, 4"x 6", Gloss, 100/Pack, normally $9.99 $2 with this coupon. Avery 5260 White Laser Address Labels with Easy Peel, normally $9.99, $2 with this coupon. Staples Jumbo Vinyl-Coated Paper Clips, 500/Tub, normally $9.99, $2 with this coupon. 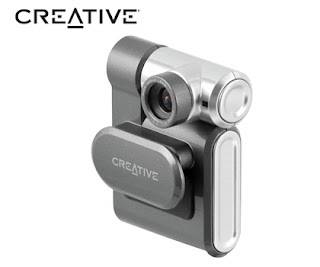 Creative WebCam Live Ultra for Notebooks, with Smart Face-Tracking (model #VF0070) only $5.99 shipped. Crazy! Click here. Today (6/28/11) only. Compare to the identical item on Amazon for $17. I love ideas that are simple, clever, and remarkably creative. I was out of town last week, traveling in Omaha with my husband, who was there for work. We were invited out for a Shabbat meal at some new friends, the Mizrahis, and I noticed their beautiful white table cloth, which looked to me like it was embroidered with silk leaves and funky silk flower embellishments. 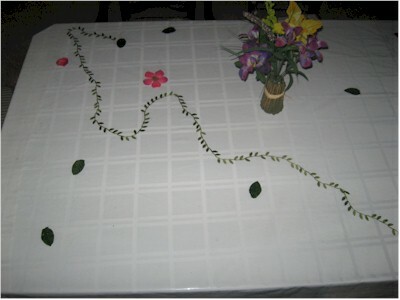 The tablecloth was covered by a heavy-duty vinyl transparent cover. So it turns out, as my hostess, Talia, explained, that the tablecloth was just a simple, plain white one, and the "embroidery" that I admired was just a pretty ribbon, shaped like a vine, that she threw down on the cloth, along with a handful of silk flowers and petals that she got at a dollar store. They were pressed between the tablecloth and the vinyl cover, and it was impossible to tell that they weren't part of the tablecloth. This was such an incredibly clever idea. 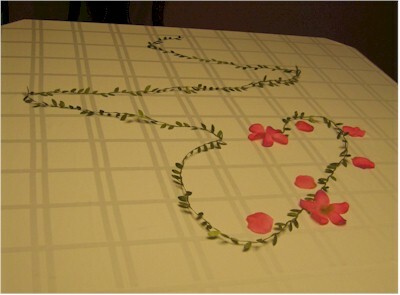 It opens up lots of possibilities for "theme" tablecloths, like putting in cloth dreidel shapes for Chanukah, or silk butterflies and trimmings for a little girl's birthday party, or even putting in photos or scrapbooking embellishments, all the while just using one simple, solid tablecloth and a vinyl transparent cover. 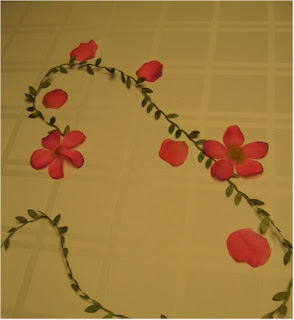 I started thinking about the different combinations of solid colored tablecloths and embellishments I could use. Pale blue with white flowers for a bridal shower. Scarlet with black vinyl cutouts (shaped like tefillin) for a Shabbos Bar Mitzvah. Or just raiding a dollar store or Joann's and buying a ton of different colored silk flowers and ribbons and coming up with gorgeous bouquets of flowers and designs on a white or pale yellow tablecloth for a regular Shabbos meal. The possibilities are endless, because Talia's idea is so simple. Clever. Frugal. Smart. 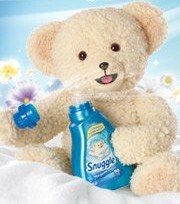 Click here to print your $1/1 coupon for Snuggle fabric softener. Here's a great social purchasing deal from Living Social: $10 for $20 on Soap.com. Just click here, sign up or sign in if you are already a member, and select "Other Cities." 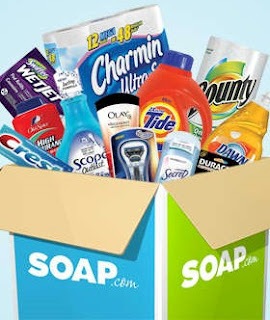 Under New York, choose "NYC Downtown" to see the Soap.com deal. Limit one per household, buy 1 additional as a gift • Shipping and handling charges are not included and will be calculated at time of checkout • Free overnight delivery on your order of $25 or more. Offer only applies to the following brands: Accu-Clear, Align, Always, Ariel, Aussie, Bold, Bounce, Bounty, Braun, Camay, Cascade, Charmin, Cheer, Clairol, Clearblue Easy, CoverGirl, CoverGirl & Olay, Crest, Dawn, Downy, Duracell, Era, Fact Plus, Febreze, Fixodent, Gain, Gillette, Gleem, Head & Shoulders, Herbal Essences, Ivory, Ivory Snow, Joy, Metamucil, Mr. Clean, Olay, Old Spice, Oral B, Pantene, Pepto-Bismol, Prilosec, Puffs, Pur, SafeGuard, Scope, Secret, Swash, Swiffer, Tampax, Tide, Tide To Go, Vicks. If you're not already a member of Living Social, click here, sign up, and you will receive $5 in Living Social Deal Bucks (and so will I for referring you, thank you! ), making this deal only $5 for $20 worth of merchandise at Soap.com! Print this coupon for $25 off a case of ten reams of multipurpose paper (item #513096). A case of this paper usually sells for $48.99, so with this coupon, your final cost, exclusive of tax, will be $23.99 (or $2.40 per 500 sheet ream). This coupon is redeemable in-store only and is good until 7/2/11, so hurry! 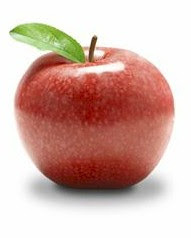 Your referrals must sign up through your unique invitation for this specific Plum Reward (presented during checkout) and sign up using Facebook Connect to count towards your ability to earn this Plum Reward. Referrals who sign up through other any other referral method — including those who sign up while the Plum Reward opportunity is available — and/or do not use Facebook Connect will not count towards your Plum Rewards total. 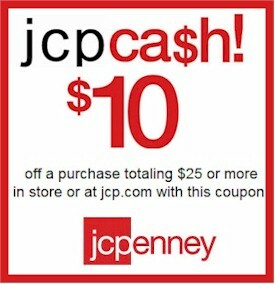 Click here to print a coupon for $10 off your $25 minimum purchase at JCPenney, good from 7/1/11-7/4/11 only. Last time I had this coupon, I got my husband three $10 polo shirts for $20. It was like a buy two, get the third free deal. 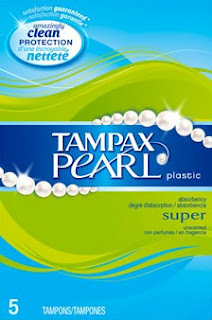 If you have a Costco member number, click here and fill out the short form to receive a free five-pack of Tampax Pearl. 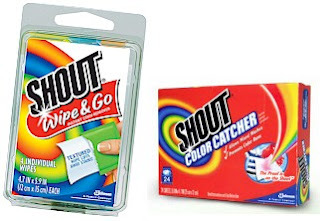 Get a free sample of Shout Wipe & Go when you like the Shout Facebook page and click on the "1 Free Sample" link. Get a free sample of Shout Color Catcher (new offer...this is one of my favorite products) when you click here. Make sure you are signed into your Amazon account, then click here and enter the code CLOUDMP3 to receive a FREE $2 credit valid for any MP3 purchase in the Amazon MP3 store. This credit is only valid through 6/30/11, so make sure you redeem it asap. 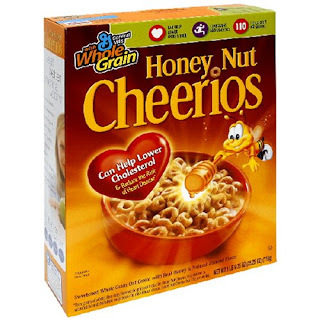 Get a free sample of Honey Nut Cheerios plus a $0.75 coupon when you click here and fill out this form. This is a great deal when you stack it with the numerous recent Glade manufacturer's coupons that have come out in the last few weeks. You can't use this with another coupon, though I'm not sure if that refers only to manufacturer's coupons, so I will definitely try to stack this with Target coupons and/or at least get another 5% off the remaining $7 ($0.35) with my Target RedCard. Even without another coupon, that's a straight 30% off cleansers that I use all the time. Expires 7/16/11. Whether you cover all of your hair all of the time or some of your hair some of the time (or any combination thereof,) snag this great Kosher Koupon for $10 for $20 at HairCoverings.com. 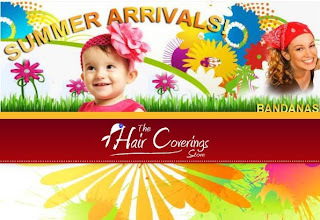 HairCoverings.com has a huge selection of haircare items, hats, scarves, headbands, bandanas, children's hats, you name it, from trendy to traditional. Shipping starts at $3.99. You can buy as many of these Kouponz as you like (I bought three), but you can only use one per purchase. Click here to get this wonderful Kosher Koupon. 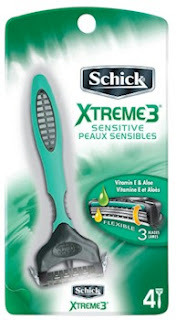 Get a coupon for $3 off a Schick Xtreme 3 razor. Go to the Schick Xtreme3 Facebook page, and like them. Click on the Coupons tab (on the left-hand side) and print out a coupon for $3 off. You know how quickly Facebook coupons disappear, so grab this before it's gone. Click through the Shop at Home link to Walmart to make sure you get your 3% cash back. If you purchase this today (6/26/11), you will get a whopping 6% cash back. 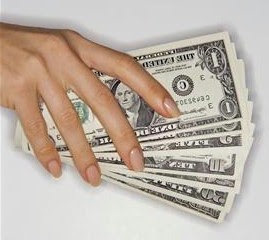 You must be a member of Shop at Home and signed into your account to get your cash back. Not a member of Shop at Home yet? It's free. Click here to join and get $5 cash just for signing up and using their site for a purchase within 30 days of joining! Add this Corner Baker's Rack to your shopping cart. It's currently selling for only $19! Choose Site-to-Store to avoid the $6.97 standard shipping charge. Find your nearest Walmart here. With your 3% cash back and no shipping fees, your final cost on this metal baker's rack is only $18.43. If you buy it today (6/26/11) and get the special 6% cash back at Walmart, your final cost will be $17.86. Fantastic. Click here to print a coupon for one free Signature trial-size item with any purchase at Bath & Body Works. Since you get the free trial-size item with any purchase, I'd go for one of the $0.50-$1.50 items up near the counter. Expires 6/29/11. Today (6/26/11) is the last day to get these great high cash back rates from Shop at Home, like 20% (!!!!) cash back at Sears.com. Take advantage of these great rates before they're gone. Yet another GREAT cash-back "sale" at Shop at Home! Have you joined Shop at Home yet? What are you waiting for? Shop at Home is a premier, safe, secure cash-back program. Join Shop at Home and buy anything online; if the vendor is listed on Shop at Home and you click through their link first, you will get a percentage of your purchase back in cash. Shop at Home has most major online vendors listed on their site. And the beauty of it is, you're not forced to do something you wouldn't already be doing...you're already shopping online, just clicking through a different link first. Shop at Home is now offering sky-high rates on cash back on 25 fantastic vendors for a limited time, at their Summer Sale! From June 20-26, you can get increased cash-back when you shop at the vendors listed here. Check out the Shop at Home Summer Sale page to see the other 15 vendors with super-high cash back rates, good only until 6/26/11. I am going SHOPPING. 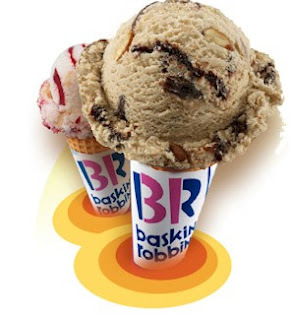 Print this coupon and then head on over to your nearest Baskin-Robbins for a buy-one-scoop-get-one-scoop-free deal. Expires 7/4/11. Yum. 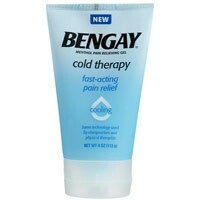 Click here to print a $5 coupon for Ben-Gay Cold Therapy. 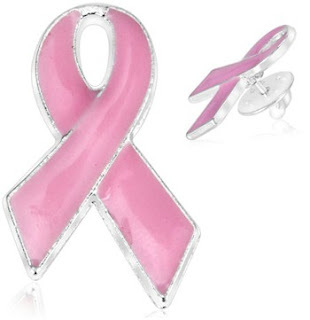 Get a free pink ribbon silver-plated Breast Cancer Awareness pin from 1SaleaDay. First go to the 1SaleaDay Facebook page and like them. Then go back here to the 1SaleaDay website and sign up for your free Breast Cancer Awareness pin. As a frugal blogger, I have a great deal of exposure and access to social purchasing sites, and of late, I have been developing a love-hate relationship with these "Groupon-type" deals. Social purchasing sites are those deal-a-day websites, like Groupon (the first and probably the most famous), Living Social, Deal Nation, Tippr, Buy With Me, etc. I've bought many of these deals over the past two years. Naturally, I am always checking out the local deals in Denver, where I live, but I also particularly like the Jewish social purchasing sites, like Jdeal, Kosher Kouponz, and Shoof, because they are geared toward kosher-keeping members of the Jewish community like my husband and me. The companies that offer these social purchasing deals are springing up like weeds, under many different names and with all sorts of variations on the Groupon business model. Most of the time, they offer me tremendous bargains, usually 50% or more of goods or services, without my having to worry about a limited time sale, entering a promo code or clipping a coupon. However, like all popular money-saving trends, I'm discovering certain pitfalls along the way that make me occasionally question the value of buying these deals. I forget that I've bought them and they expire. I've tried to overcome this issue by printing them out and keeping them in one place, but more often than not, I just forget they are there. So far, I've been lucky enough to recover the money I've spent on expired deals. Thankfully, there are state laws governing the use of gift cards (which is what these are in a technical sense) that allow you to at least recover the face value of the deal. i.e., if you buy a $25 for $50 coupon, and forget to use it, it will just be worth $25 after it expires. I can't tell you how frustrating it is to buy a great deal only to let it expire. If you've got an expired deal, especially if it's recently expired, call the vendor as soon as you can to see if he'll still honor it (there are some that will just to make their customers happy) or if minimally, he'll give you the face value. Check with your state laws to seen what the vendor is obligated to do. Some of the more veteran social purchasing sites, like Groupon, routinely send out email reminders to use your deals before they expire. I wonder how much money vendors have made off of customers abandoning expired deals, thinking they blew it and the deals are just worthless. I can't use the coupons when I want to use them. I bought a local deal on housecleaning. I called the vendor almost two weeks in advance to schedule the cleaning the day before we were getting some company, and was told that the company was overwhelmed with the deals and couldn't come to clean my house for three months! Same thing happened with a car detailing deal that I bought. I called the company three weeks in advance to schedule the detailing right before Passover, and was told that they wouldn't be able to detail my car for another two months. I wish vendors would only sell as many deals as they can handle. When I purchase a service, I want to be able to use the service when I want to use it, or it's really not that valuable to me. They deals are misrepresented and are not bargains at all. A friend of mine bought a Groupon for AAA membership deal. The deal was for $20 for a "regular membership" which would have been half off the regular AAA annual rate. What a steal, right? Except when she tried to redeem it, it turned out to be only for a six month membership, not the annual one, so basically, it was just a regular price membership. My friend was very disappointed, but she got in touch with Groupon immediately and they refunded her purchase, no problem. 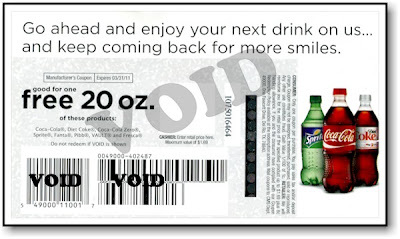 When you are about to redeem a coupon, make sure the deal is exactly what it represented itself to be, and if you receive an unexpected and unpleasant surprise, don't be shy, return the deal. The deal you want to buy is great, if you don't count shipping, taxes, and the fact that there are coupon codes out there that will net you a better deal. Make sure that deal is the best that you can do before you buy it. Can you apply the amount of the coupon toward shipping? Since you can almost never use these types of deals in combination with other discounts, is there a promo code out there, stacked with cash back, that will result in a much better deal? Do your research before you buy the deal. What about you? Have you gotten burned by problems with a social purchasing deal? Or have you had nothing but positive experiences with them? Are you as addicted as I am? If you haven't been to a Disney theme park in a while, there are lots of new attractions, rides and resorts that you might want to scope out before you get there. This freebie is a little different, but I figured with summer here and everyone planning vacations, this might be timely and interesting. That, and I love Mickey. A tour of the Disneyland Resort in California, including 2 Theme Parks and 3 Resort hotels. This offer is only available to U.S. and Canadian households. 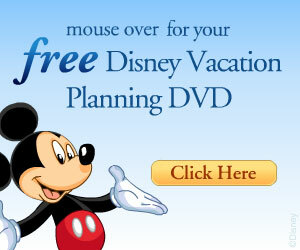 Click here to get this free Disney Parks DVD. Click through the Shop at Home link to Superjeweler to make sure you get your 12% cash back. You must be a member of Shop at Home and signed into your account to get your cash back. Not a member of Shop at Home yet? It's free. Click here to join and get $5 cash just for signing up and using their site for a purchase within 30 days of joining! Once you're on the Superjeweler website, add this pearl pendant to your shopping cart. The pendant is clearanced priced at $9.99. 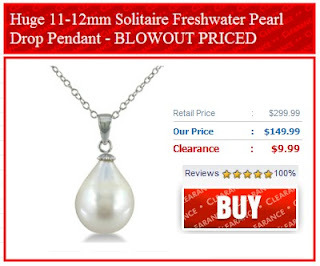 With your 12% cash back, free shipping and clearance pricing, your grand total on this pearl drop pendant is $8.79. 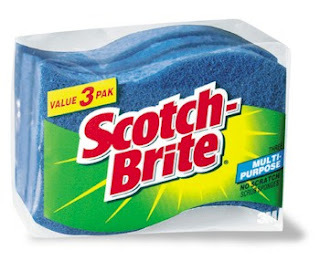 Print a coupon for $0.75 off on any Scotch-Brite Scrub Sponge 3-Pack. Click here. Get a coupon for $1 off any pack of Pilot B2P pens. Think school supplies. Click here, sign up, and then check your email for the coupon. 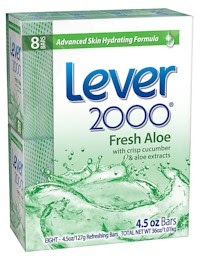 Get a coupon for $1 off any Lever 2000 4-pack of bar soap. Click here. 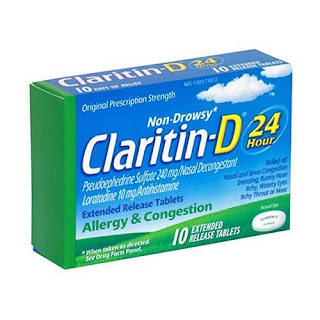 If you don't mind clicking around a bit and "earning badges," to learn about children's allergies, click here to get a $3 coupon for any variety of Children's Claritin. I love Lee Kum Kee sauces. They are among the few genuine Chinese gourmet products that are kosher/pareve (look for the OU symbol). I get them at H-Mart here in Denver, but you can find them in most Asian food aisles. Click here for a coupon for $1 off any Lee Kum Kee product. UPDATE: The Orthodox Union, as of 6/26/11, no longer does kosher supervision for Lee Kum Kee. Get a coupon for Buy One 20 oz. bottle, Get One 20 oz. bottle free coupon for 100% Natural Lipton Iced Tea. Click here. Click through the Shop at Home link to Target.com to make sure you get your 3% cash back. You must be a member of Shop at Home and signed into your account to get your cash back. Not a member of Shop at Home yet? It's free. Click here to join and get $5 cash just for signing up! 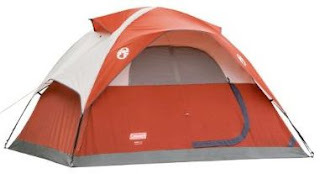 Once you're on the Target website, add this Coleman 4-person 9' x 7' dome tent to your shopping cart. This item is marked at $67.99. At checkout, use promo code TGTYJCQ7 to drop the price by 15% to $57.79. 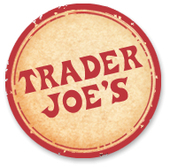 This code expires on 6/28/11. Excluding tax, and including your 3% cash back, free shipping and 15% discount, your grand total on this Coleman 4-person tent is $56.06. Fantastic.